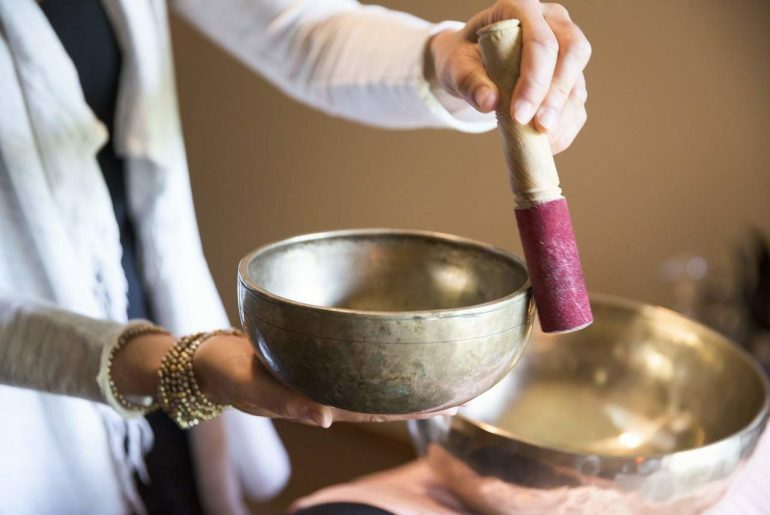 Western Culture has grown to embrace the ancient practice of meditation over the past decade. 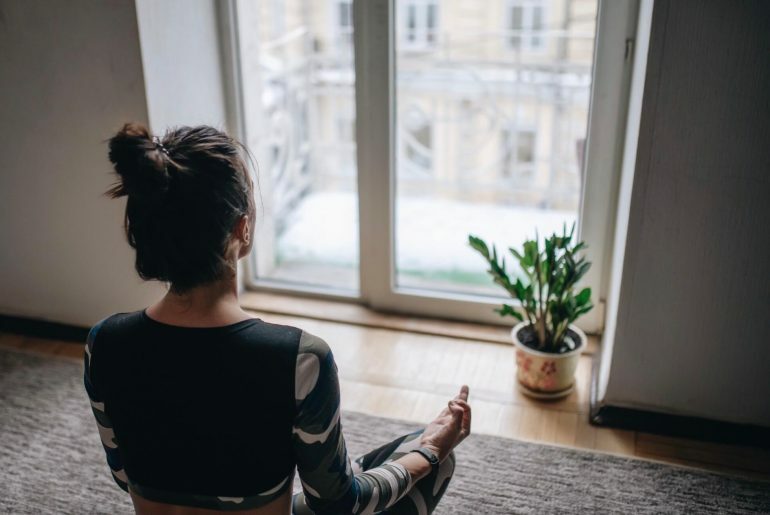 And it’s no wonder; Americans are more stressed-out than ever before and there’s a growing body of evidence that suggests practicing mindfulness can promote peace of mind. Yet, many people have never tried meditation because it seems too foreign, intimidating, or difficult as a beginner. 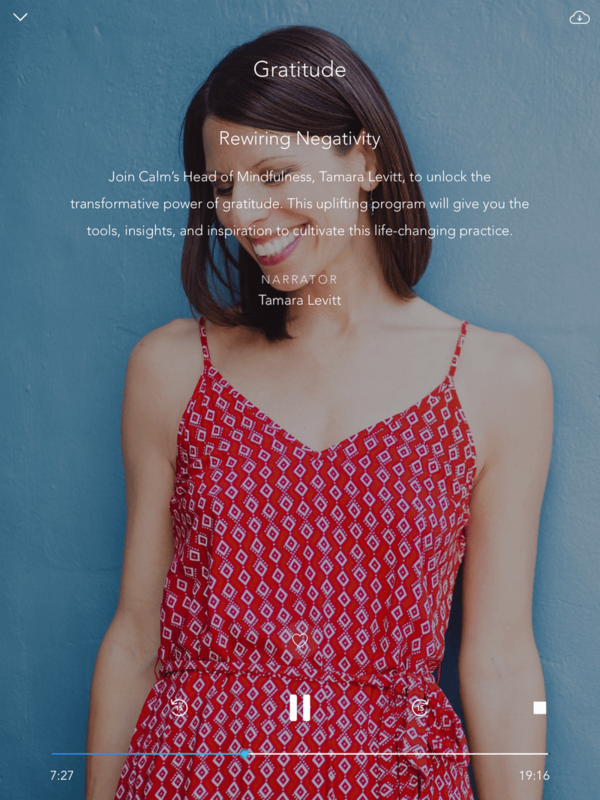 The Calm app claims to make meditation easy for beginners while serving as a valuable resource for intermediate and advanced users. Calm is a San Francisco based company founded by Alex Tew and Michael Acton Smith in 2012. To date, it has brought in over 22 million dollars in revenue, with over 30 million downloads. Apple deemed the app the “Best of 2018”. As someone who has made mindfulness a personal goal for 2019, I was eager to try the app to see if it measures up to the hype. 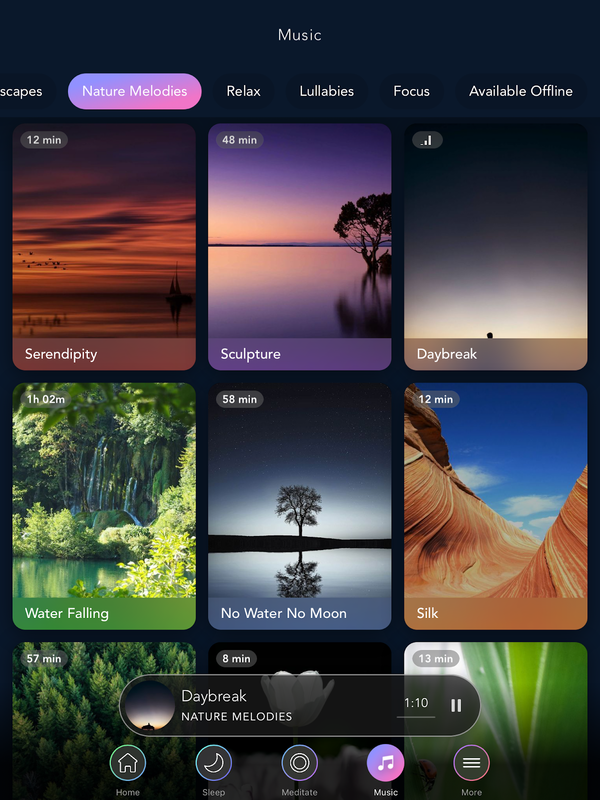 The Calm app does have a trial version that you can access for free and gives you a good taste of what the app has to offer. It includes “Day 1” of the multi-day meditation programs and access to one of their “Sleep Stories”. Anyone who is interested in accessing the premium version of the app can purchase an annual subscription of 59.99 USD. Alternately, lifetime access is available for a one-time payment of $299.99. The Calm support FAQ says that a monthly subscription is available through the app store, but I thought it strange that they don’t offer a monthly plan on their website. Upon logging in for the first time I was immediately encouraged to relax as the words “Take a deep breath” appeared over a serene blue screen. I was then asked to select the areas of meditation I wanted to focus on, like productivity, sleep, anxiety, or gratitude. I didn’t know what to choose so I chose almost all of them. 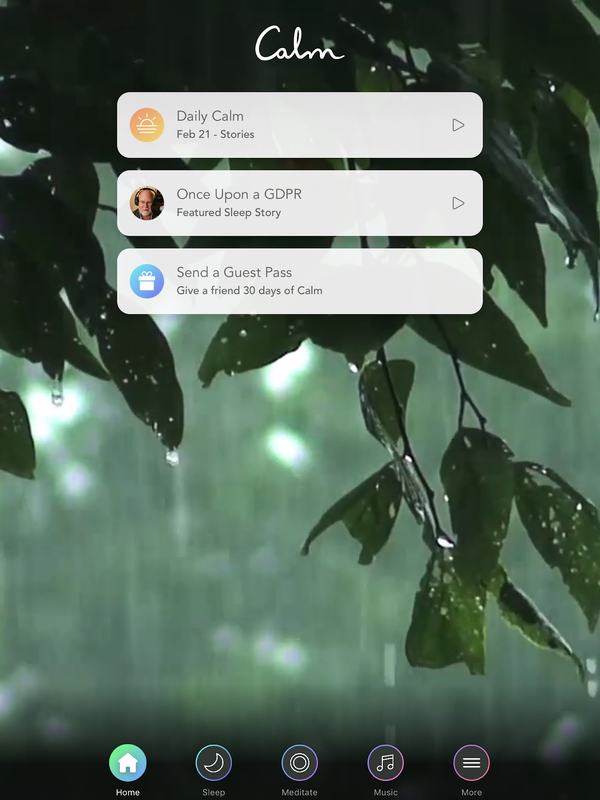 Next, I was taken to the home screen which featured a video background of rainfall on leaves. I later discovered this is what is called a “Scene” which is one of the app’s other features. I liked the simple, clean layout of the app and found the navigation very easy to use. The meditation section contains a library of programs, each with a different focus. Many of them are 7-day programs, but they range from as few as 3 days to as many as 21. “7 Days of Calm” was the meditation program the app recommended I start with, which is a more generalized program tailored to beginners. The sessions feature Tamara Levitt, who writes, narrates, and produces much of the content on Calm. You can also swap out Levitt’s narration with another meditation guide named John Armstrong instead. Yet some areas of focus that I expected to be there were not; I couldn’t find any meditation programs for sadness or grieving. One series I particularly enjoyed was the Mindfulness at Work series, which contains guided meditations for tackling productivity, communication, conflict resolution, and work stress. The Calm Masterclass section is a collection of programs with different hosts. Like the meditation programs, each masterclass has a different area of focus, like gratitude, mindful eating, and performance. Each class has a trailer you can watch that goes into more detail as to what you will learn from the class. 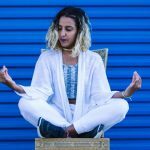 The masterclass isn’t a guided meditation but more of a podcast or audiobook that includes mindfulness exercises. I listened to Tamara Levitt’s masterclass for Gratitude and found it was a helpful listen that gave me a fresh perspective on happiness and positivity. Levitt’s masterclass let you practice gratitude on the go! I liked that I could instill a bit of mindfulness into my day without having to meditate or keep still. I could listen to the lessons while driving to work or cooking dinner. The scenes are videos that play in the background of the app as soon as you log in and its sounds serve as background noise throughout the meditation sessions. You can set the Scenes so that you will hear the sounds outside the app. There are 35 scenes to choose from including a crackling fireplace, evening crickets, or a coastline at sunset. The sound quality is great and with earbuds in I found the Rain on Leaves and Sunset Beach scenes very relaxing. If I didn’t feel like background noise one day then I changed the scene to one of the silent ones, like Celestial Sunbeams or Silent Earth. 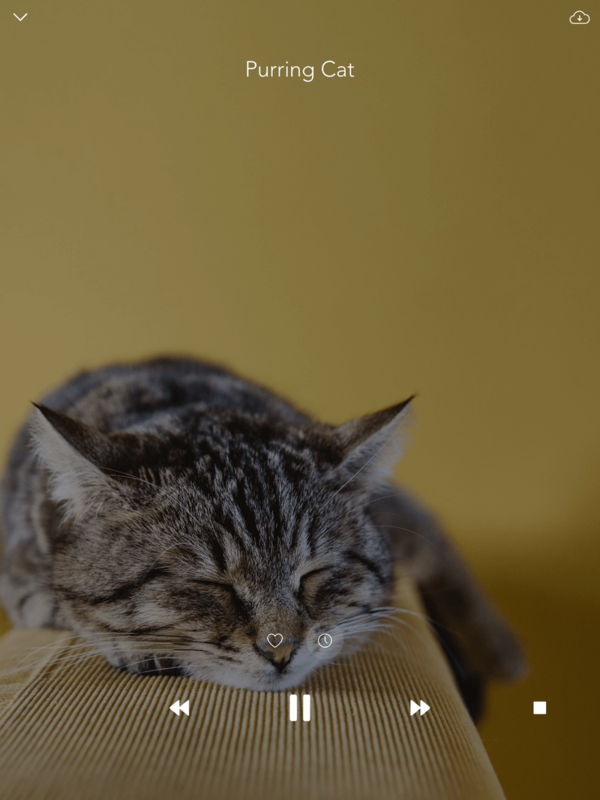 I am really impressed with how robust the Sleep section of the Calm app is. Aside from meditations for sleep, there is also a library of other sleep aids called Sleep Stories. Some of these stories are geared more towards kids, but many are relaxing to listen to as an adult as well. 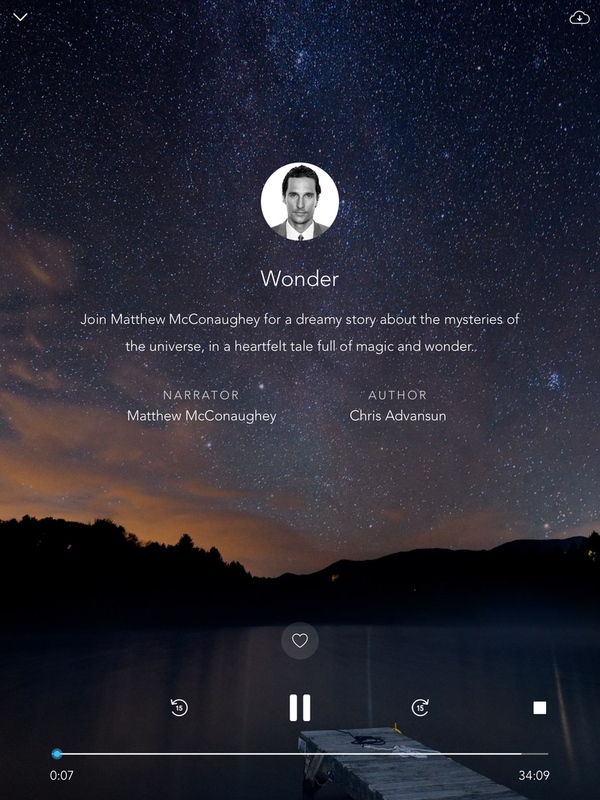 There’s even a sleep story narrated by Matthew McConaughey, because of course there is. 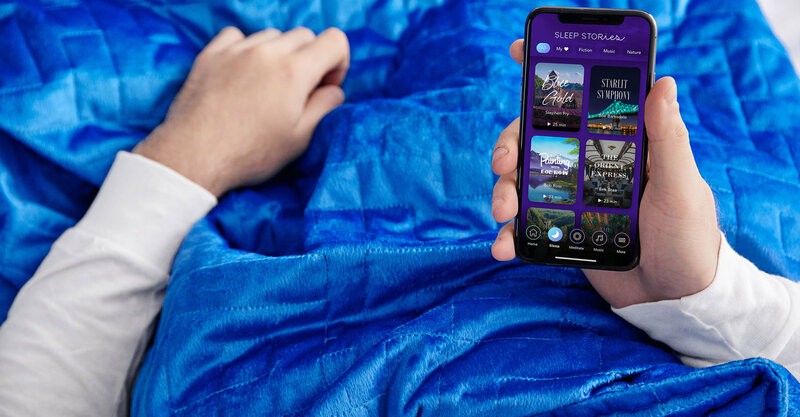 Another interesting addition to the Sleep Stories is the ASMR section. If you’re unfamiliar with the term, it stands for Autonomous Sensory Meridian Response, a somewhat mysterious phenomenon where some people feel a relaxing “tingling” sensation when listening to whispers or other specific sounds. Matthew McConaughey wants to tell me a bedtime story? Alright, alright, alright! The music section is another core part of the app with a lot of features. It’s also home to Soundscapes, which don’t play music but relaxing natural sounds such as an oscillating fan or a purring cat. Who doesn’t love the sound of a purring cat? There are also Nature Melodies, which is music that gently plays over a backdrop of nature sounds. Other tracks are designed to help you focus. Ironically, I found that some of the focus tracks to be a bit distracting. There’s a large enough library that you’re bound to find something that soothes you. 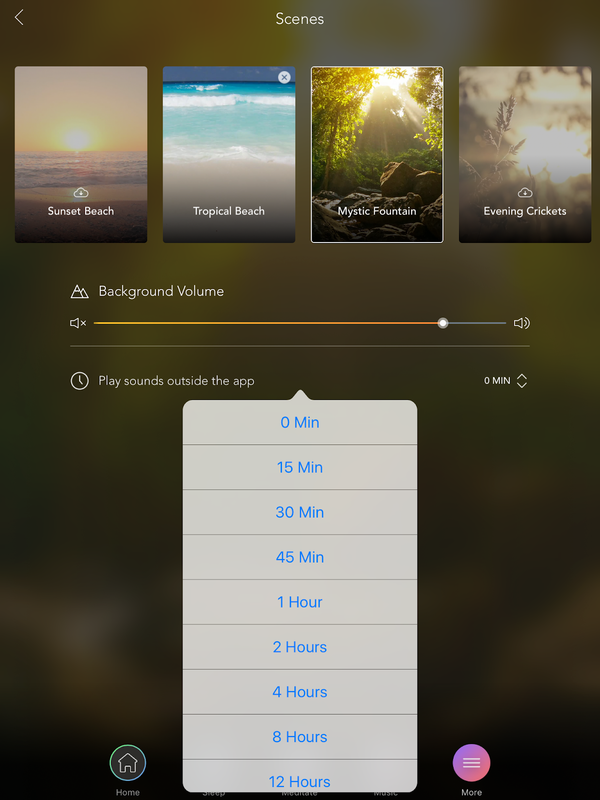 You can also set a timer for how long you want music or soundscape to play for. Soft music over sounds of nature is the best of both worlds! 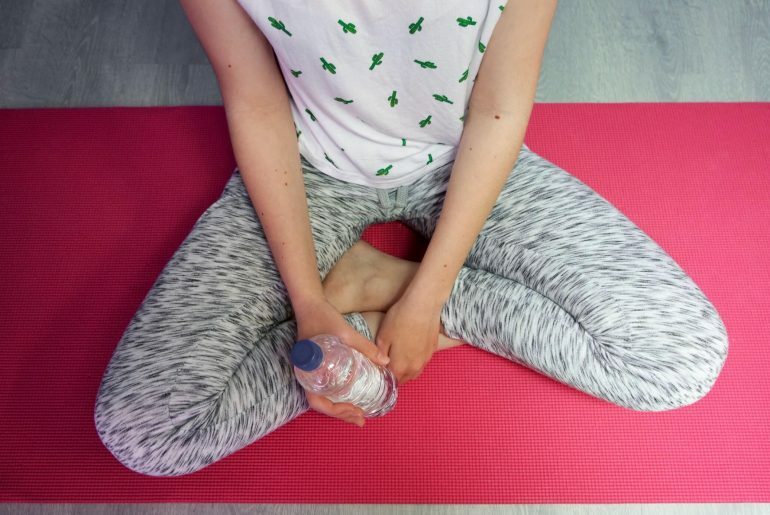 The Calm Body section contains a handful of mindful stretching exercises that are fifteen minutes or less. 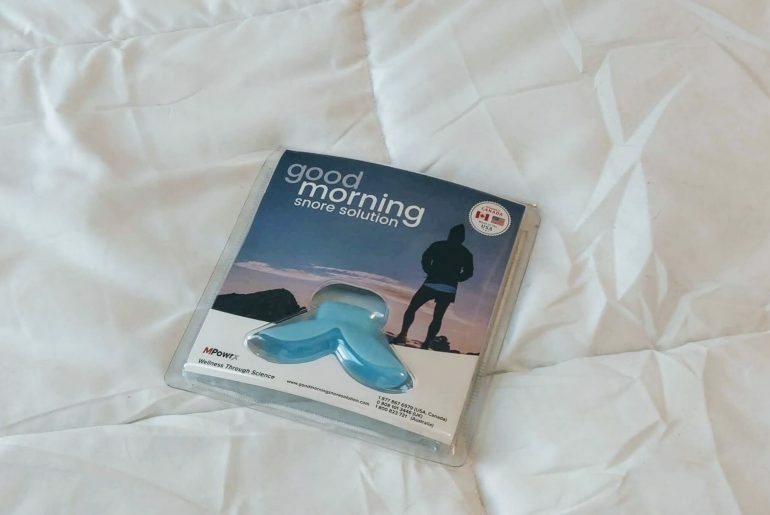 Some of the sessions, like the Morning Wake-up and Back Care sessions, are in video format and almost felt like following along with a mini yoga class. Other sessions, like the Evening Stretch, is audio only. The Calm Body section seems limited but it’s a newer part of the app and I expect they will continue to add content over time. That said, I don’t find this section as a big value add since you can find tons of similar content on YouTube for free. Calm Kids consolidate the kid sleep stories and lullabies but also contains a few meditations tailored for kids. The Breathe section is simply a “Breathe Bubble” that expands and shrinks in a rhythm that you’re supposed to breathe along to. This might be useful if you’re prone to anxiety attacks and need to focus on slowing your breath. 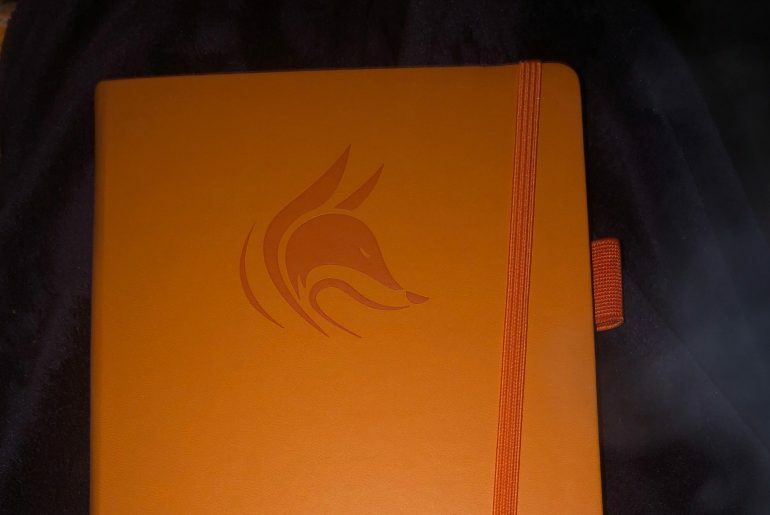 But if you have a fitness tracker like an iWatch or a FitBit, you will already have access to something very similar. 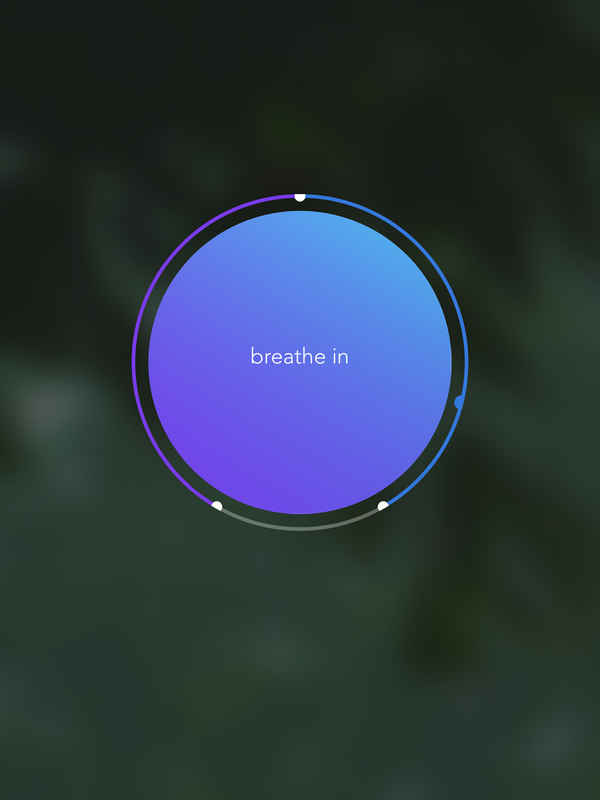 The Calm app puts a modern spin on meditation that makes it easy to access for beginners. 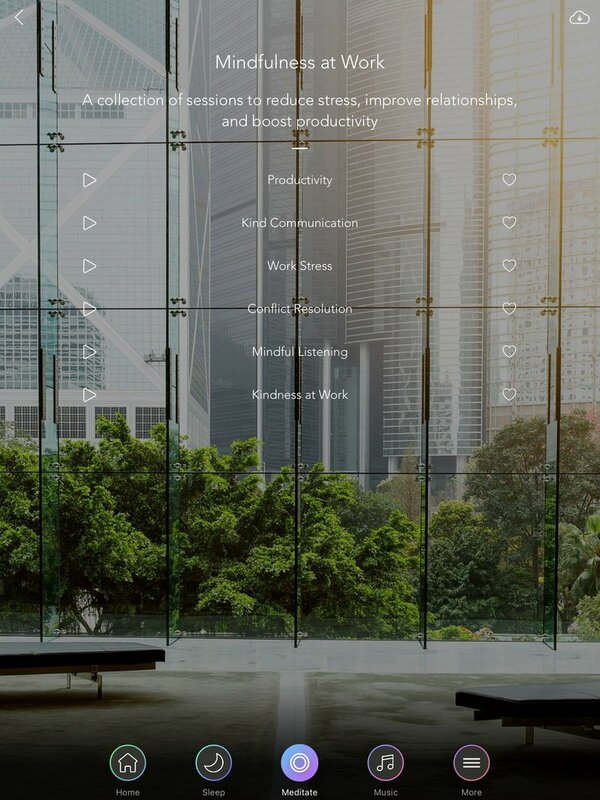 But it’s not just a meditation app—it’s a multifaceted resource for bringing more relaxation and mindfulness into your day. 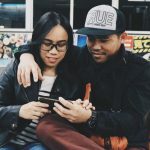 Even if you don’t like meditation, if you struggle with insomnia or anxiety, there’s enough value in the other features to justify the price of admission. 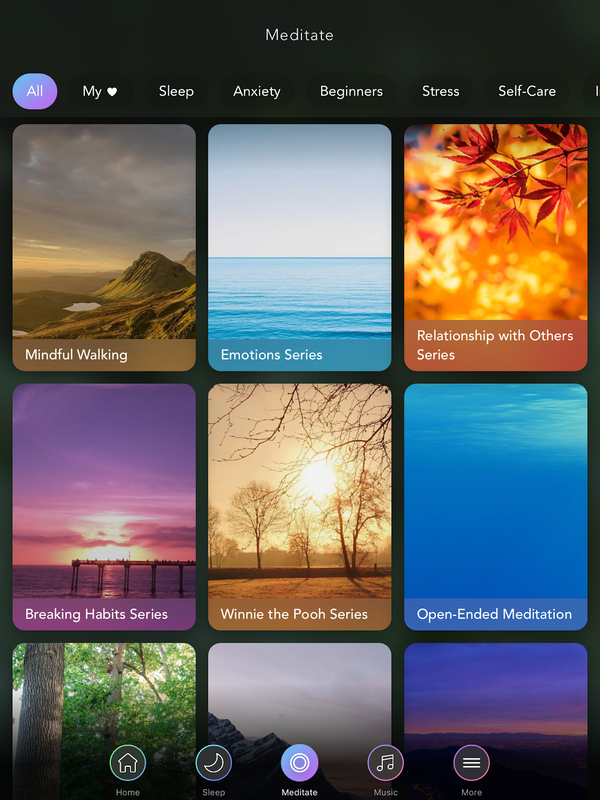 If you’re interested in Giving the Calm App a try, check out their website for more information! 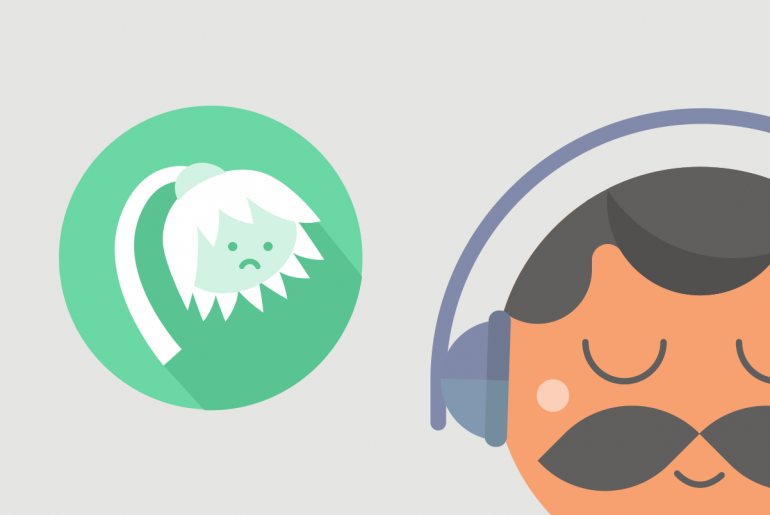 And if you’re shopping around for meditation apps, read our Headspace review as well!